It’s back to school time in Northern Michigan and as the temperatures are starting to get a little bit chillier, germs are abound. Vaccines are on the minds of a lot of people and especially parents. MyNorth’s Evan Perry talked to Dr. Andrew Tursman at the Grand Traverse Children’s Clinic in Traverse City about what people should know about vaccines, some common misconceptions related to vaccines and more. Read on for the entire interview. Infants receive vaccination against numerous dangerous infections starting at birth. For the protection of those immunities to continue, “booster” vaccination is required around the time children enter school (4-6 yrs old). These booster shots enhance the immunity to Tetanus, Diphtheria, and Pertussis (DTaP), Polio (IPV), Measles, Mumps, and Rubella (MMR), and Chicken Pox (Varicella). Without these boosters, longterm immunity can be compromised, and the protection from these diseases lost. At age 11 years it is recommended that kids receive the vaccine series for Human Papilloma Virus (Gardasil) — a vaccine that helps prevent various types of cancer (including cervical cancer in women, and some head and neck cancers). Also at this age, a bacterial meningitis vaccine (Meningococcal) is given. Finally, a booster for Tetanus, Diphtheria, and Pertussis (Tdap) is given the further promote the immunity to these diseases. It is also very important to keep in mind that an annual flu (Influenza) vaccine should be received every year. This can be given as an injection or nasal spray (with a few exceptions) and is typically available from around September through Spring. Do you recommend that children get an annual flu shot in anticipation of cold season? Is there an age at which you’d relax that recommendation a bit? I strongly recommend an annual Flu vaccine. Many people think of the numerous respiratory colds and even “stomach bugs” as the flu, but true Flu or Influenza is caused by a specific virus. The vaccine is directed specifically at that specific virus. Many also are unaware of the potentially serious nature of Influenza infection. We actually know exactly how many kids die from the flu each year as it has been a nationally notifiable condition since 2004. In the last 10 years, 1238 children have died from Influenza; last year alone that number was 107. And these aren’t all kids with risk factors (like having asthma, diabetes, or other chronic medical conditions). About half of the children who die from the flu each year have no known high-risk factors for flu complications. During the 2010-11 flu season, three-fourths of children who died from the flu were not vaccinated. Currently, the preference is for the nasal spray version if available. Infants should receive the injection form starting at 6 months old, and the nasal form becomes an option starting at 2 years old. I would not relax this recommendation one bit — there are very limited reasons not to get a Flu vaccine! There’s been speculation that vaccinations can cause rather drastic health difficulties —including autism—rather than solve relatively simple ones. Can you set us straight on the pros and cons of vaccinations. First of all, there is no medical or scientific basis to link vaccines with autism — regardless of what stories one reads in the press or on the internet. Problems like autism are very serious and can be very scary; they deserve attention and resources to help find a cure or preventive measures; ultimately no one knows exactly what causes autism. Unfortunately, it is a dangerous and misguided distraction to put the blame on vaccinations. There are numerous independent organizations (including VAERS) evaluating the safety and effectiveness of vaccines on an on-going basis; despite increasingly close scrutiny, there has never been an association made with autism. In fact, there is a wealth of evidence to the contrary: that no vaccine causes autism. 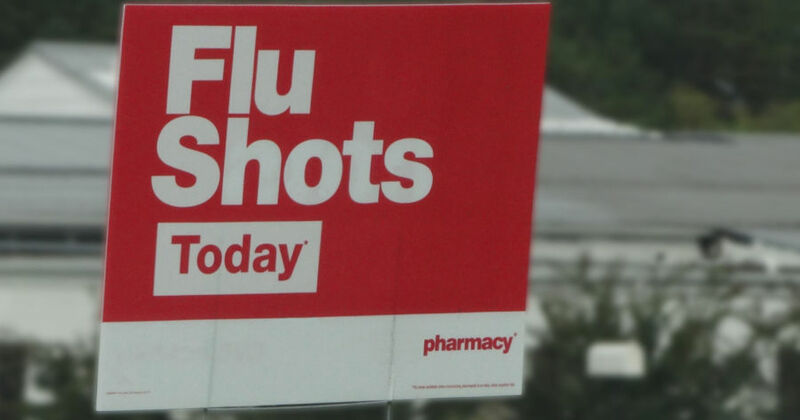 Another common misconception is that the Flu shot causes the Flu. This assertion is also simply not true. While it is still possible (and likely!) to catch other respiratory illness and colds during Flu season, the Flu vaccine will prevent most cases of true Influenza, and significantly decrease the severity of other cases. No one will catch Influenza from the Flu shot. The illnesses that can be prevented by available vaccines are not relatively simple. For example, Haemophilus influenza type b (Hib) diseases were a major problem causing bacterial meningitis just a few years ago until the vaccine was developed for infants. With the Hib vaccine the annual national number of Hib disease cases went from 20,000 to less than a few hundred. There were 12,230 deaths in one year from Diphtheria in the US at its peak, but there was only one case reported in 1998. 13,000-20,000 cases of paralyzing Polio were reported every year in the US before availability of the vaccine! How are vaccinations good for the health of the community as a whole? We currently have the luxury in this country–due to the successes of vaccinations–to not have to fear these diseases as people once did. Indeed, the list of serious diseases that have been eradicated or dramatically reduced by immunizations continues to grow. Sometimes success like this makes us too comfortable, we do not recognize the very real and serious potential for infection, and individuals elect not to vaccinate their children. There are numerous examples of vaccine-preventable infections re-appearing in communities all around the country, and most are linked to individuals who chose to forgo the protection of vaccination. Every community has individuals who cannot–for one reason or another–receive immunizations (for example being too young or having certain types of cancer). These individuals are unfortunately highly vulnerable to vaccine-preventable infections introduced to the community by others who chose not to vaccinate, and they face the unintentional, but tragic, risk of becoming seriously ill. Each person who isn’t immunized gives a highly contagious disease one more chance to spread. This is not a “doomsday” or “what-if” scare tactic — it does occur, and it is currently happening in communities like ours around the country.